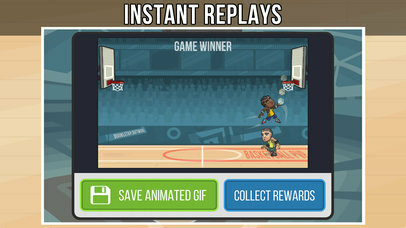 Realtime online 1 on 1 basketball action! Pump fake and drive to the hoop, or shoot pretty fade aways! – RAIN: Hit 3’s from downtown! – HAWK: Launch sky high to block shots! – PIXIE: Move with dazzling speed! – WINSTON: Tower over your opponents! – DESTINY: Drill midrange shots all day! Play against your Facebook friends or compete against random opponents and climb your way to the top of the leaderboards! NEW: Become a VIP to remove ads and get discounts. You can purchase a VIP subscription for only 1.99 USD/month (auto renews at end of each month).